I have decided to share with you one of my newish tools I use in Specials betting. 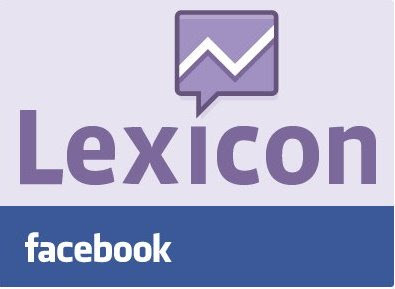 It is Facebook's Lexicon and it is essentially a way of searching and plotting people comments or updates on Facebook. People often update in real time their thoughts on a TV show on Facebook. They will mention a particular contestants name. Facebook Lexicon counts occurrences of words and phrases that appear on Walls over time. Much like Tellybetting's old favourite Google Trends, these can be searched and plotted. I was very excited when I first discovered it and was convinced I had the holy grail that nobody else had. It is good but the lag time (24-48 hours) is the real problem with it. These markets move a lot in 2 days and so the opportunity to use Lexicon effectively is rare. It is a pity as it is a sensitive tool when deployed correctly. Have a look yourself. It is straightforward to use. Why am I giving away tips to winning? Because there are other tools out there which may be better. The next great white hope is my Real-Time Sentiment Index (RTSI). I will let you know about it sometime. you could always try my supertool guaranteed to lose you money. What do your tools say about Alexis Grace?